There's nothing quite like a new spin on an old classic. 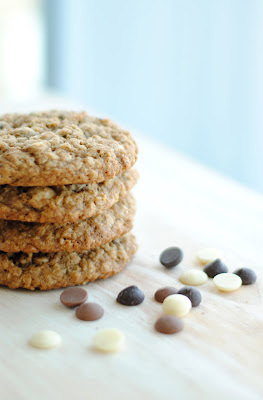 This is the oatmeal chocolate chip cookie recipe my mom has been making since I was teeny tiny. They made their debut on our table after appearing in my preschool cookbook, a collection of recipes from each family. That we've been making them for the last 23+ years really speaks to how easy and tasty they are. 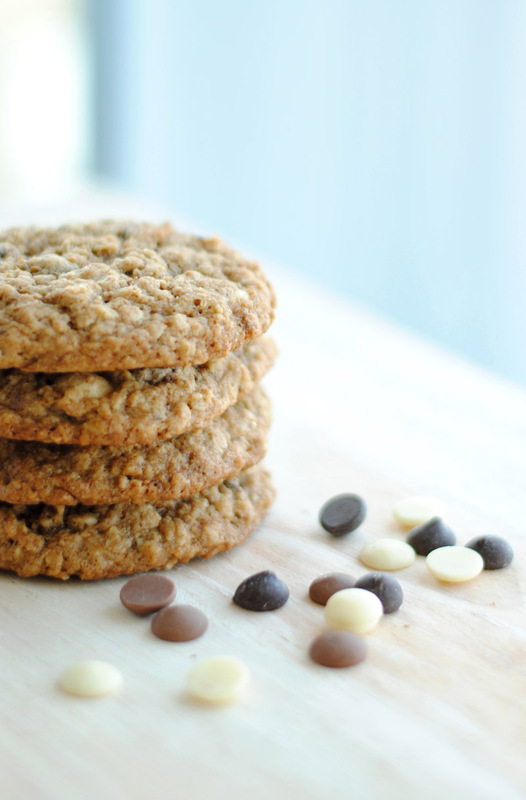 We decided to spice up the recipe with a chocolate chip trio -- white, dark, and milk chocolate -- and ended up with an even more decadent cookie that tastes a little more modern than the traditional variety. 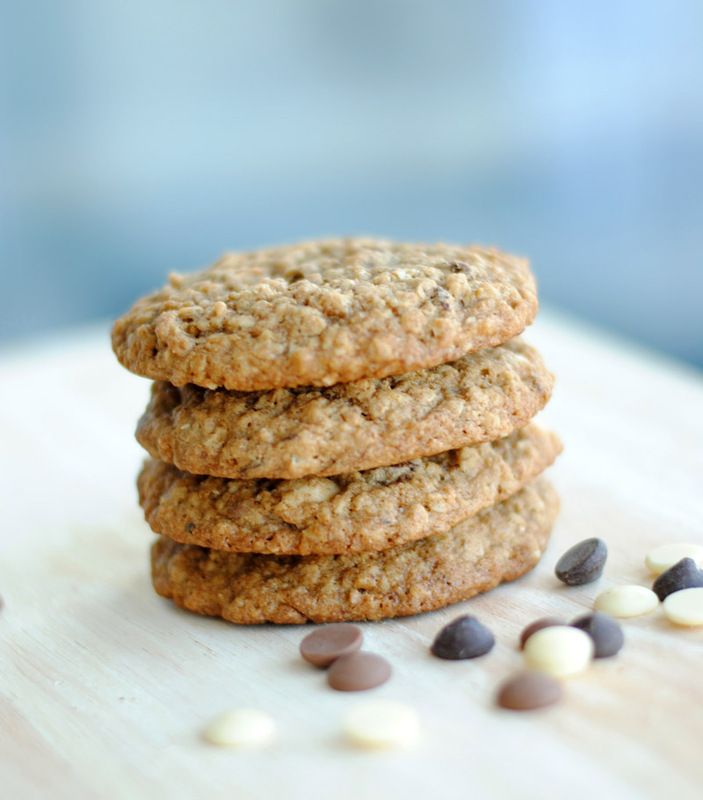 Don't let the oatmeal fool you, though; these aren't exactly the healthiest cookies out there. But they are some of the tastiest. Feel free to throw in some nuts, too, if you aren't the type to, you know, die from that. Cream the butter and brown sugar, then beat in the eggs and vanilla. Add flour, rolled oats, baking soda, and salt. Mix thoroughly. Add and mix in the chocolate chips. Bake at 350 degrees for approx. 12 min.